Rwandans have been working tirelessly to rebuild their country since the 1994 genocide. Since then, the country has become one of the fastest growing economies on the African continent. Furthermore, women have now come to the forefront of national politics, making Rwanda the world’s leader in the number of women parliamentarians. The advancement of women in Rwandan society is told in a documentary-style video launched by the UN Development Programme (UNDP). It was produced by award-winning filmmaker Zak Mulligan who lent his services pro-bono. This advancement of Women in Rwandan society has been documented in an inspiring documentary-style video produced by award-winning filmmaker Zak Mulligan, who lent his services pro-bono to the United Nations Development Programme (UNDP). The people of Rwanda have been working tirelessly to put their country’s tumultuous past behind them, paving the way towards a more promising future where peace and stability are helping transform the country into one of Africa’s fastest growing economies. Yet in this East African country –bordered by Uganda, Tanzania, Burundi and the Democratic Republic of the Congo – another tremendous shift has taken place: women are now at the forefront of national politics. 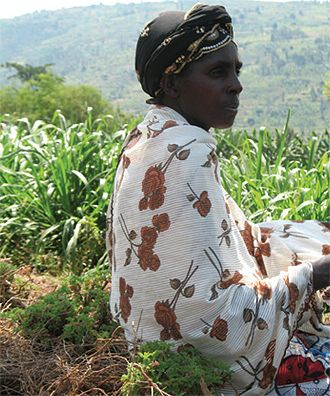 Unlike in the past, Rwanda’s women now have a voice, and it is being heard across the nation. The country now ranks number one in the world in terms of highest participation of women in Parliament, with more than fifty percent representation. Empowering women by making them true partners in development projects has been the focus of UNDP’s work in the country, which aims to create opportunities for young people while promoting a culture of accountability, helping to build transparent institutions, and supporting peace consolidation. Working through the Rwanda Women Parliamentary Forum, where female parliamentarians collaborate across party lines, UNDP has been training new female legislators on how the political process works. It is also working with the government to integrate gender dimensions into laws, policies, and budgets. “When men had the majority, we had trouble passing anything that had to do with gender issues. But now, with our numbers, we have a stronger voice than before,” said Espérance Mwiza, a female member of Parliament. Though still widespread, poverty rates in Rwanda have dropped 12 percent over the past five years. Furthermore, 18 years after the 1994 genocide, the country has made huge strides towards achieving the Millennium Development Goals, particularly in the area of women’s rights, as highlighted in Mulligan’s film. In 2010, Mulligan won the Excellence in Cinematography award at the international Sundance Film Festival, an annual event in the United States that showcases independent filmmaking.